The low-cost Cyclone® II FPGA Starter Development Kit is ideal for evaluating Altera's high-performance, low-power, 90-nm technology. By using this RoHS compliant starter development kit, you will see 60 percent (on average) higher performance and 50 percent (on average) lower power than competing 90-nm, low-cost FPGAs. Several reference designs and demonstrations included in the kit make for a quick, "out-of-the-box" evaluation experience. Cyclone II FPGAs are perfectly suited as an embedded processor or microcontroller when combined with Altera's 32-bit Nios II embedded processor intellectual property (IP) cores. 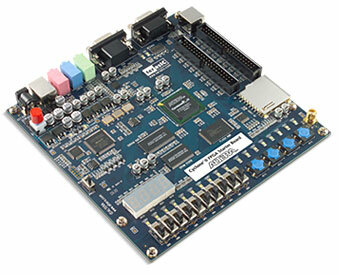 You can add many other functions to the FPGA with additional IP cores available from Altera and Altera's partners.